As part of the ancient and respected Jedi Service Corps, the Medical Corps (or “Medi-Corps” as it sometimes known) has a long and much admired history of providing medical care in remote areas of the galaxy that otherwise see minimal relief from the galactic government. The Medical Corps was disbanded following the outbreak of the Imperium War due to much of the Jedi Order being decimated and the few remaining Jedi Knights being pressed into active military service against the Sith. With the war over and the Order being rebuilt, Grandmaster Don’roq announced the re-establishment of the Order’s Medical Corps on 362.17ABY, with new facilities opened on the hospital world of New Holstice. 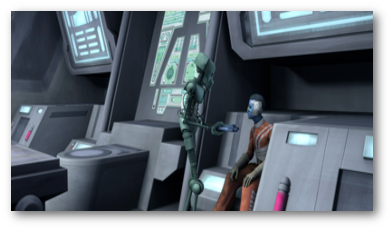 The Order currently works to expand on and provide much needed medical care to the many war-torn Northern sectors of the Outer Rim Territories.